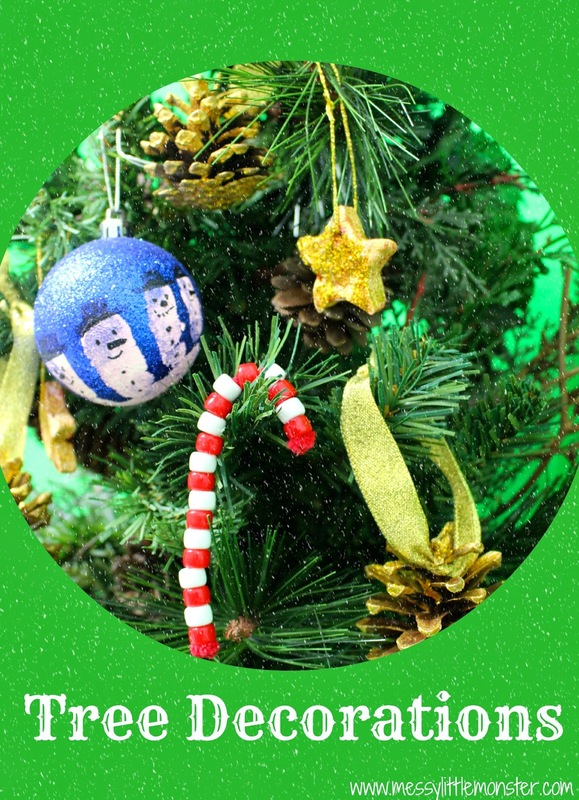 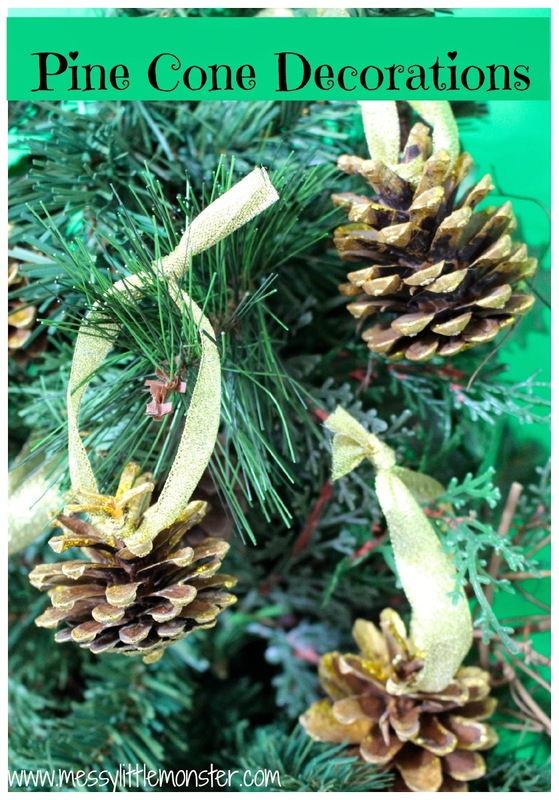 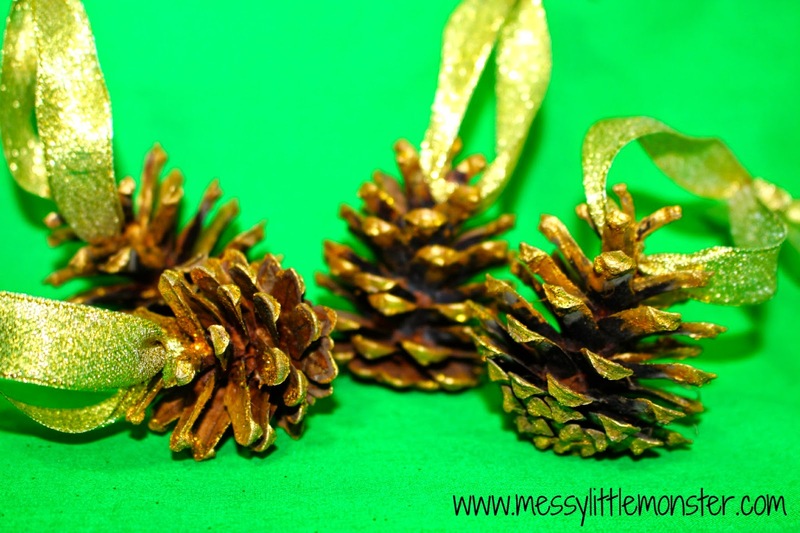 Pine cone Christmas tree decorations are fun and easy for kids to make and look really effective. 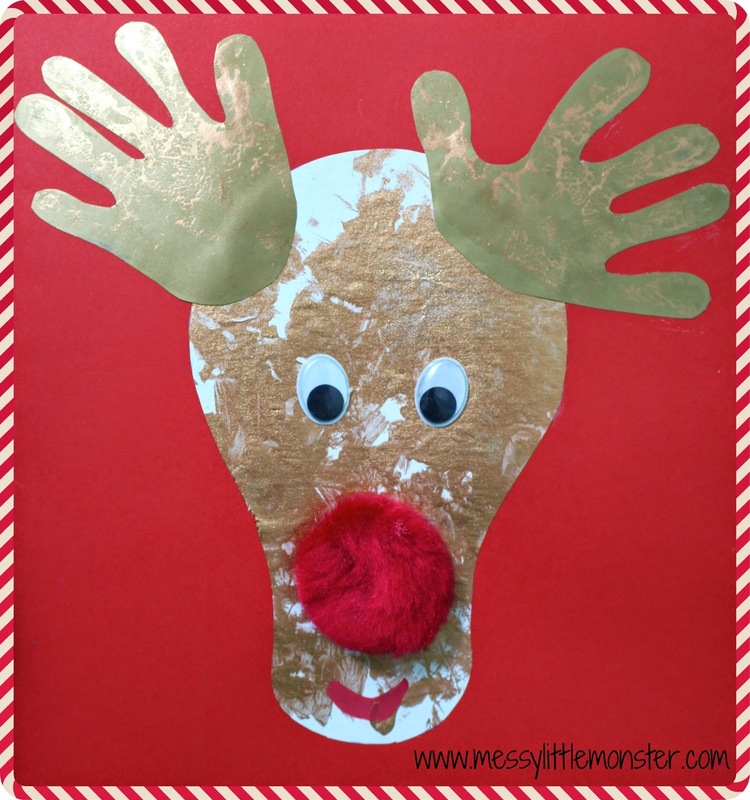 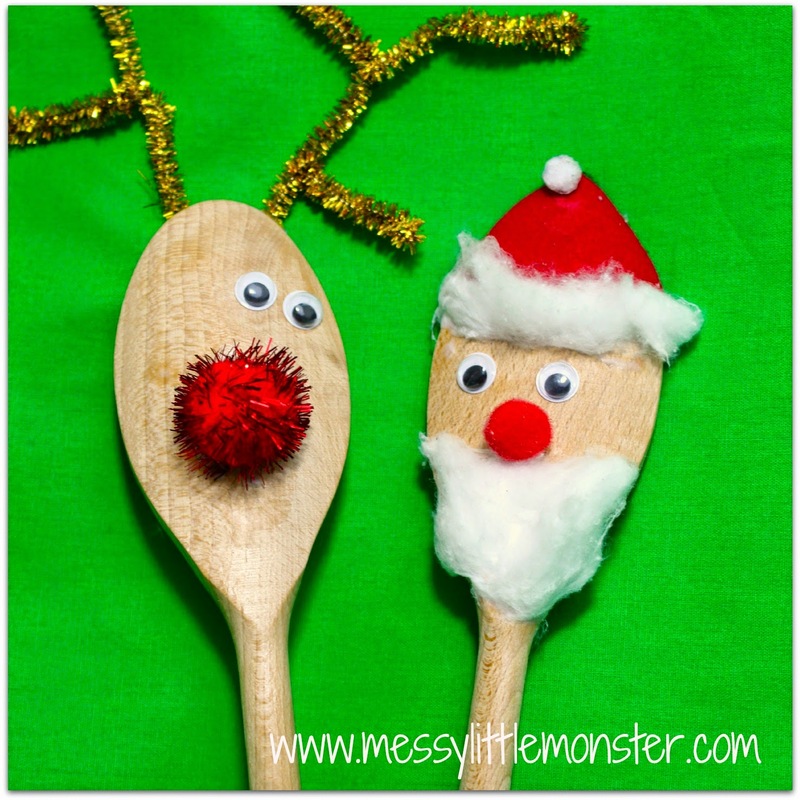 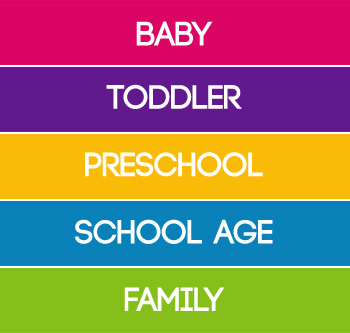 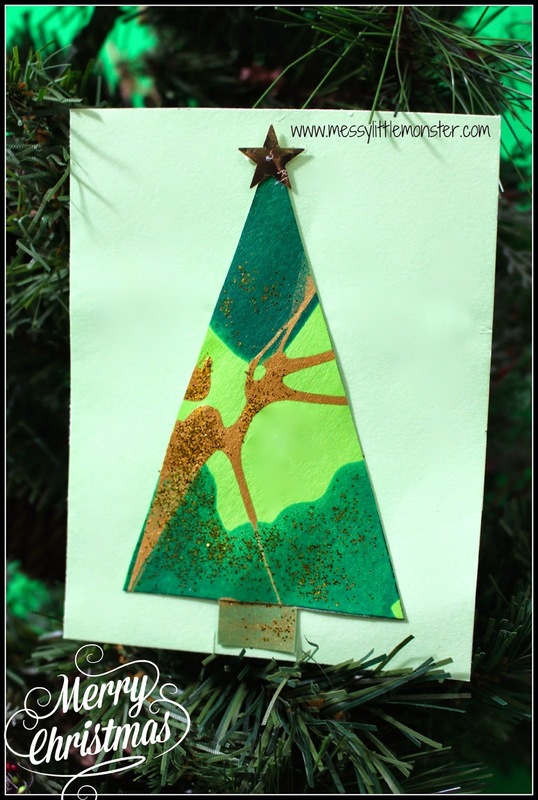 Toddlers and preschoolers will love getting the paint and glitter out to make these sparkly decorations. 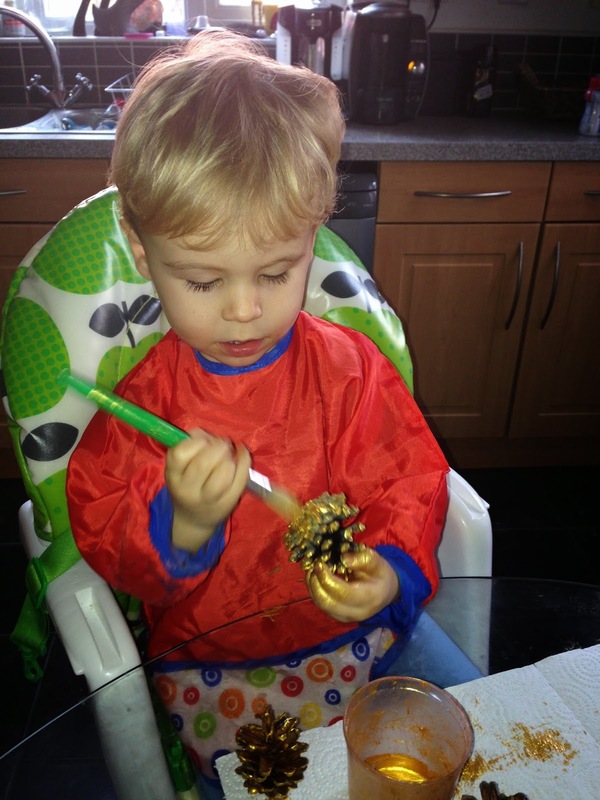 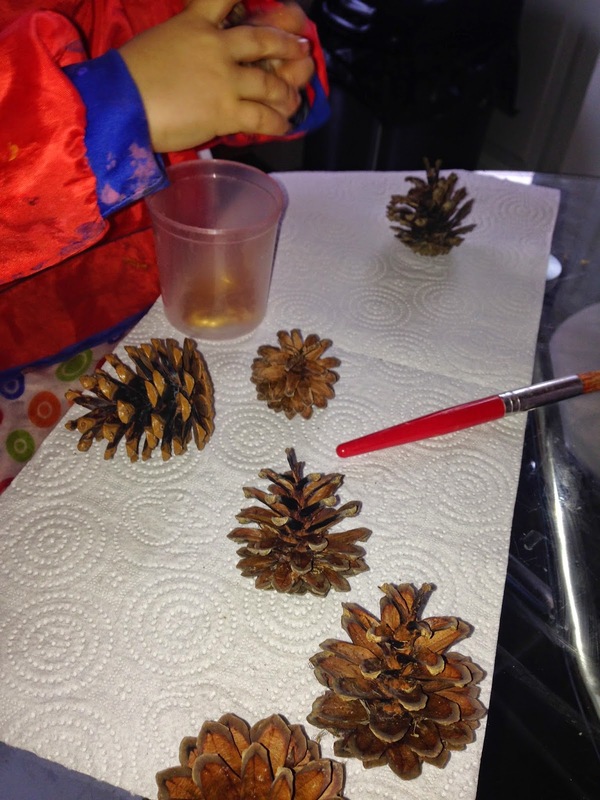 We collected some pine cones and painted them gold. 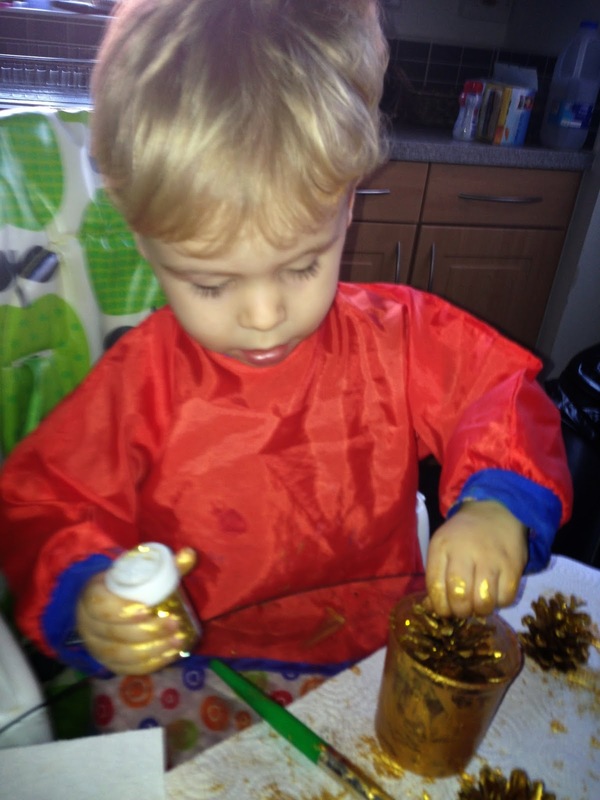 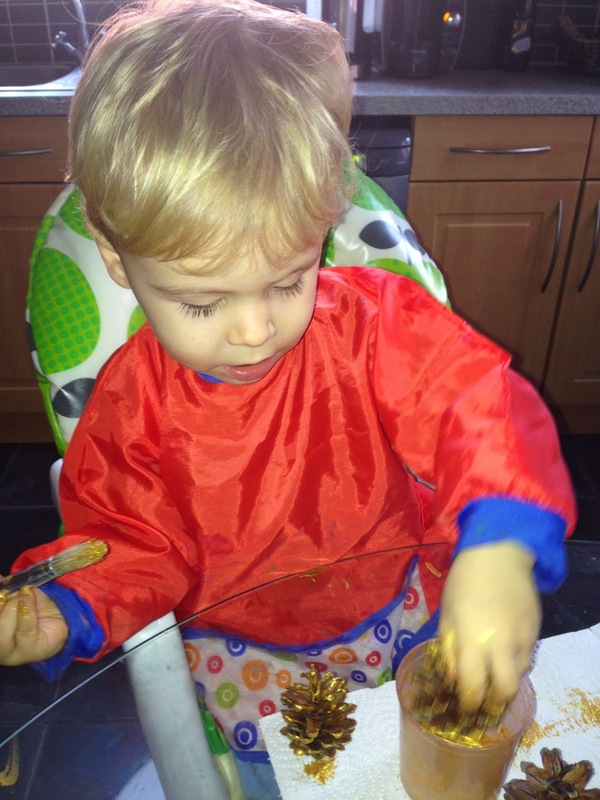 Harry quickly learnt that it was easier and more fun to dip them in the paint pot than to use a paint brush! 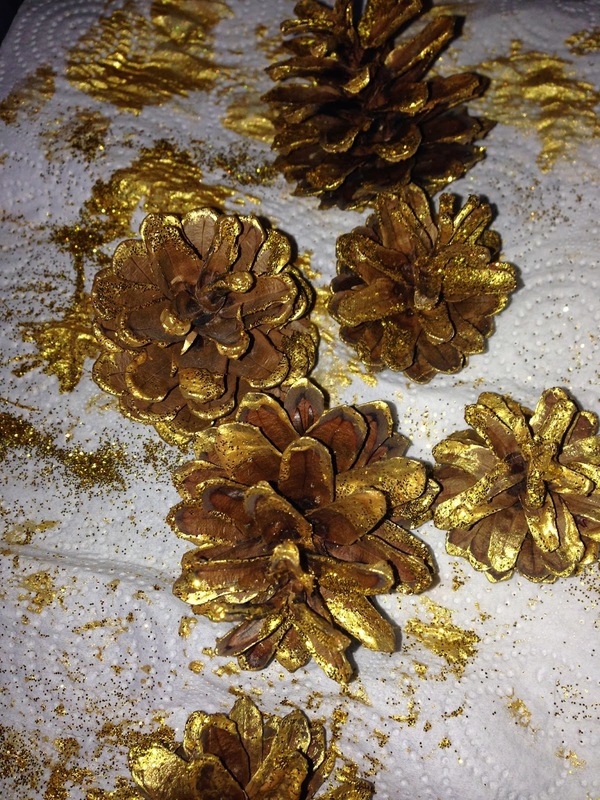 and added some gold ribbon to hang them on the Christmas tree.